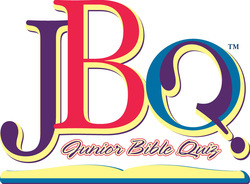 Junior Bible Quiz is a program designed for children from grades K-6 to study basic Bible teachings and Scripture and to compete with other children throughout the country. Summertime is used to study and prepare for the upcoming season. Teen Bible Quiz is a program designed for children in grades 7-12 to study basic Bible teachings and Scripture and to compete with other children throughout the country.